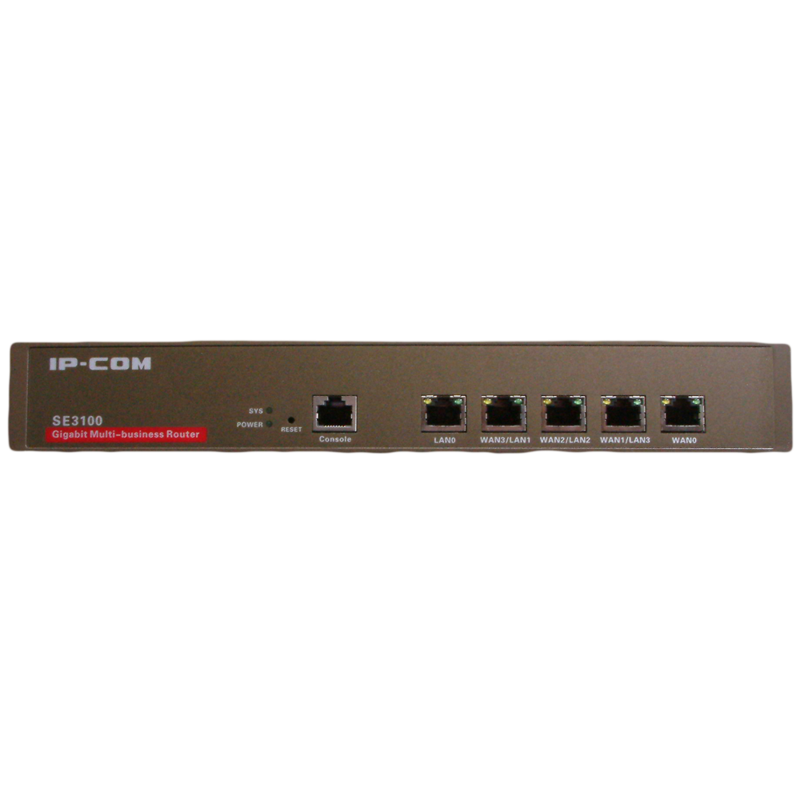 The SE3100 is a multi-WAN load balancing router that supports up to 4 incoming Internet lines with aggregation up to 100Mbps. Smart bandwidth control to optimise bandwidth usage. Multiple VPN protocols such as IPSec/PPTP/L2TP help users establishing VPN with flexibility. Intergrated with a user authentication feature to make it capable of configuring the time duration for customer to access the internet. 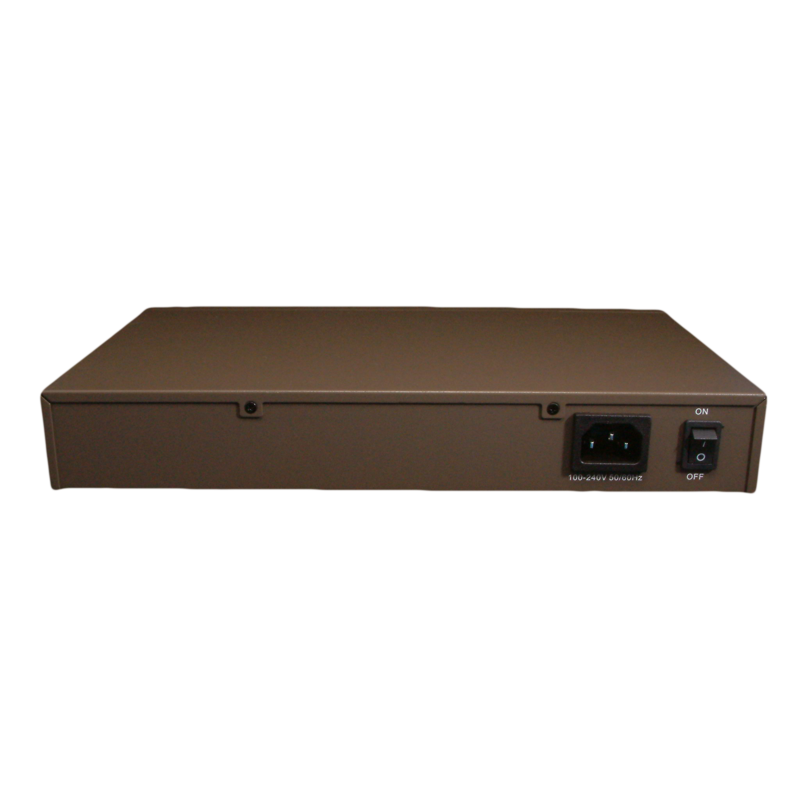 With it's feature set the SE3100 is an ideal network access solution for a business enterprise with 120 end-users. 1. Features smart QoS that automatically controls bandwidth usage to avoid network congestion. 2. Allocates bandwidth according to different time periods to fit into diverse network environments. 3. Supports priority QoS to set a bandwidth level for a different user or group. 1. Bandwidth aggregation with 4 WAN ports and also reserves the possibility of bandwidth expansion in the future. 2. Supports 2 Balance modes: Session-based, IP-based to optimize bandwidth usage. Portal Authentication is one of the methods of authentication supported by SE3100. It presents a web page which requires action on the part of the user before network access is granted. 1. Customize the Internet access time for customers. 2. Display intermediate advertisements while users are browsing free WiFi. 3. Redirect to specified website to improve the brand image or promotion. 1. Provides up to 32 PPTP VPN connections. 2. Displays status of PPTP VPN connections. 3. Allows using Windows2000/XP embedded PPTP client to dial to router. 1. 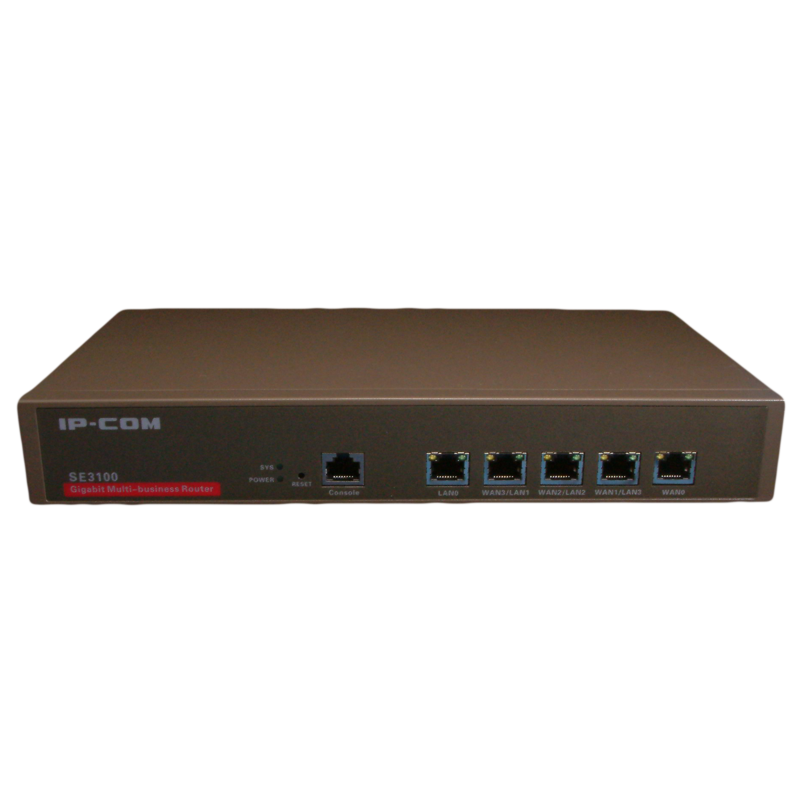 Provides up to 32 L2TP VPN connections. 2. Displays status of L2TP VPN connections. 3. Allows use of Windows2000/XP embedded PPTP client to dial to router. 1. Provides up to 32 IPSec VPN connections. 2. Provides comprehensive IPSec VPN with DES/3DES/AES encryptions, MD5/SHA1 identifications and automatically/manually IKE Pre-Share Key exchanges. Dynamic DNS service gives a way to keep domain name pointing to dynamic IP address to allow you to remotely access your computer, DVR, webcam, camera system, and other devices using an easy to remember custom hostname. 1. Supports dynamic DNS services like DynDNS and No-IP. 2. Supports DDNS service and updates synchronously to simplify management.